Hi guys! My name is Sotya Satmaka Adira. 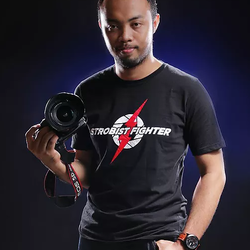 I am a airforce army doctor scholarship student, and a photographer based in Surakarta, Mid Java, Indonesia. Photography is my passion, fulfils my life and brings out the best of me. I am photographer focused in portrait and group photography, available for assignment in Indonesia, and happy to travel around the world. Photography gives me freedom to express my creativity, to understand others and it is my way to live. I am very thankful for all the people I met through photography. We need supportive community for our passion and hobby to develop. I hope someday i can be a great photographer.